There are 2 tennis courts on property. We were down here for the golf tournament and this was perfect! The condo had all that we needed, was close to beach and bike rental for my daughter and her friend and close to shuttle stop for us . I highly recommend it! We thoroughly enjoyed our stay!! The villa was super close to the beach and priced great! It was in perfect condition and very spacious. We will definitely be coming back! We really enjoyed our stay. We wish it could have been longer. We enjoyed this condo. The rooms were nicely appointed and it was a pleasure to drink coffee on the balcony in the mornings. It was really nice to have the kitchen as a buffer between the bedrooms and the living room. Nice sized spaces so that we didn't feel that we were on top of each other. Key pick up and drop off were a piece of cake and the property management personnel were friendly. Friends that have a time share there in Hilton head liked this condo better than theirs. The beach path was directly across the street. The only thing it was missing was a washing machine (which would be convenient for week long stays). 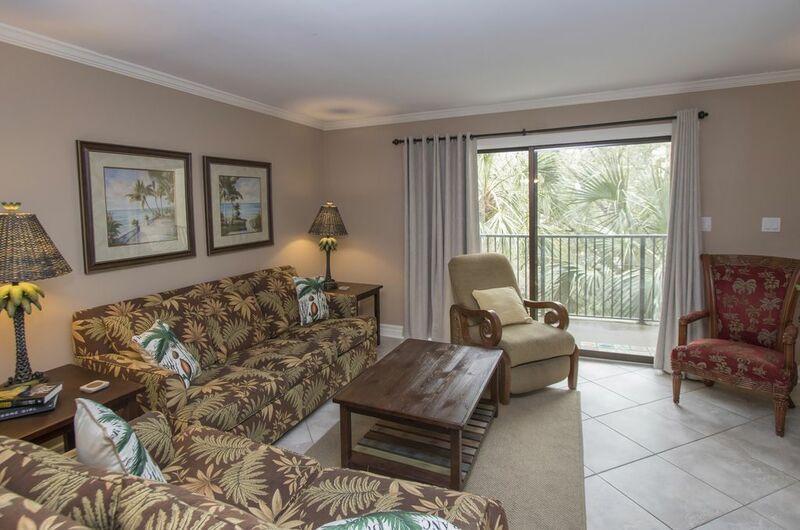 Great condo very close to the beach, restaurants, and golf. We really enjoyed ourselves. The condo was clean and inviting. The beach access was right across the street, so parking, etc wasn’t an issue. Having 3 bathrooms was nice.